Dooster’s layout is arranged into individual projects vs the dashboard. 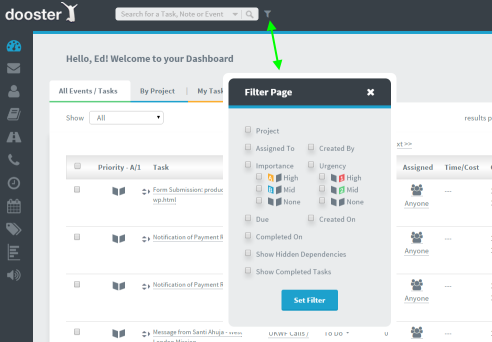 In the project screens you see tasks relating to that project only. 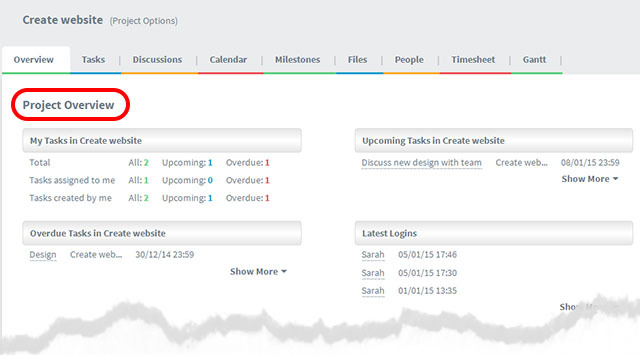 In the dashboard you can see all tasks and projects combined in one list. Filters allow you to only see certain projects or tasks assigned to particualr people… due between specific dates and so on. 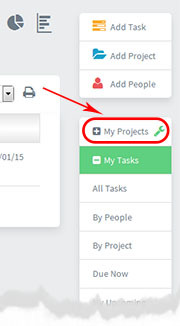 Each project can be accessed from the “Projects” button on the right hand side navigation. Each project has its own “project overview” – which shows a summary of that project only. Use this feature to help you visually sort projects from one another. There are other project screens. Tasks – shows all the tasks and task lists in the project. Plus Milestones, project Files and People – which shows all the people in the project.